In 2006, the Secure Fence Act, supported by Senators Obama, Clinton, and Schumer along with 23 other Democrats, was passed. Congress supported a border wall under Presidents Clinton and Bush. So the only answer as to why Democrats balk at supporting President Trump’s funding request is politics. The National Border Patrol Council, in an April survey, found that an overwhelming 89% of America’s frontline Border Patrol agents support building President Trump’s fence along the U.S./Mexico border.Those closest to the problem see a wall system in strategic locations as a necessary piece of the border security puzzle. Some facts stand out. 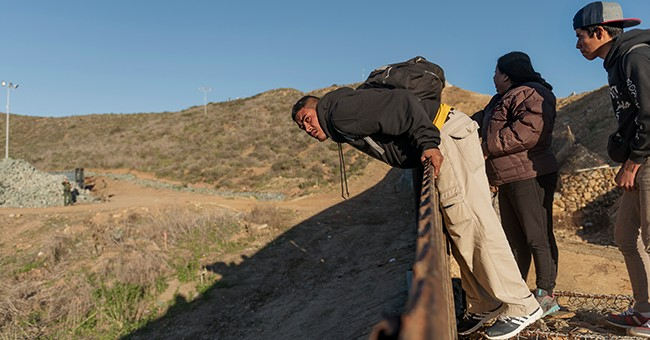 With the disparity of government systems, standard of living, and crime between the United States and Mexico and neighboring countries, many sadly risk all they have to enter the US illegally. We are and remain a welcoming country to the over a million people who come here legally every year. Because of natural barriers, an effective border wall would need to cover less than 1,000 miles. Finally, a border wall alone won’t provide a workable solution to the illegal alien problem, but it’s time to negotiate in good faith a comprehensive immigration policy that includes a border barrier. Border barriers aren’t relics of the past. Many nations, including Austria, Jordan, Spain, Greece and Myanmar, have built, fortified, or expanded border barriers since 2010 in order to manage illegal entry into their countries. With the government shutdown and continuing standoff on wall funding, there’s a need for a thoughtful, fact-based discussion on the efficacy of border walls on our Southern border. A July 15,2018 report in The Tennessee Star by Daniel Marulanda and James Agresti provides valuable documentation from Israel and Hungary. In short, evidence from many nations confirms that border walls stem the tide of illegal immigration. In response to 55,000 illegal immigrants entering Israel’s Southern border between 2010 to 2012, Israel constructed a high-tech steel wall between Israel and Egypt. In 2015, crossers started using ladders to defeat the fence. Increasing the height rendered ladders ineffective. Fully completed in 2016, only 11 illegal immigrants entered that year. With the higher wall, the number dropped to zero. In 2015, thousands of refugees from the Middle East and Africa were entering Hungary illegally to seek asylum. In response, Hungary constructed a fence along its border with Croatia. The Hungarian National Police reports that within two days of completion migrant captures declined by more than 99% and stayed at this level through the rest of the year. Communists in Germany used walls to keep their citizens in. America’s border walls would be used to keep illegal immigrants out and force those wishing to immigrant to use existing legal means. It’s time to negotiate or declare a national emergency and get this done.